Even with just 28 days, the phases of the February moon guide us to another month of choices and behaviors. 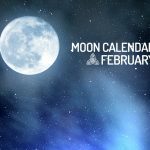 Discover the lunar calendar for February 2019 and, below, see what are the recommendations for each cycle of the month. Beginning on the 4th of February, the New Moon marks a time to retreat and plan what will come next. Despite being a period of renewals, the tip is not to make commitments, especially love-wise or undergoing surgery, for now. In other aspects of life, it is worth investing in good plans, since the New Moon represents a very fertile period to feed dreams and desires in the long term. Take time to step up the chances of success. Stay focused, do not be afraid to change, and everything will work out. February also counts on the presence of a supermoon during the Full Moon, although there won’t be an eclipse – as it happened in January. Of course, at this stage we become more emotional, sensitive and even vulnerable, so to speak. For some people, the approach of the celestial body of the Earth makes them even more susceptible to the effects of this cycle. However, all this sensitivity is compensated with creativity, motivation, and passion to do things the right way. With the end of the Full Moon, the emotions and pace of events are slowed down, and you will be able to see more clearly all the actions and decisions taken so far. From there, it will be possible to discard unnecessary plans and measures, and focus only on what matters – and that will make a difference in your life from now on. This period is also a great time for cleanings. Spend this week for thorough cleaning in your bedroom or home. February will be a sensitive month, with much reflection and planning so that its medium and long term plans can be fulfilled. At times, clarity may be lacking, and the path will be murky, but with patience, you will be able to illuminate your ideas and follow through with fullness. February’s keyword is “focus.” It is normal for things to start full steam for the first month, and lose vitality as you face the first hurdles. Despite the moments of questioning and insecurities that may occur, do not give up. You’ve probably heard that sometimes you have to take a step back, to take two steps forward. So stick with your plans. The planetary power of February will also be very conducive to practicing humanism and spirituality. The common good and personal goals will go hand in hand.